At KS3, students learn about a variety of topics from both the natural world and the built environment. Our main aim is to encourage our students to think about other people’s views about issues and how we can manage our world in a sustainable way. Our lessons also focus on geographical skills including the development of map, graph and fieldwork techniques. Fieldwork is an important means of developing skills and there are various trips that take place. 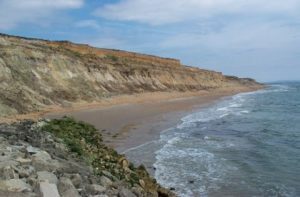 Hampshire Coast – To practise sampling methods– a day trip to the coast.